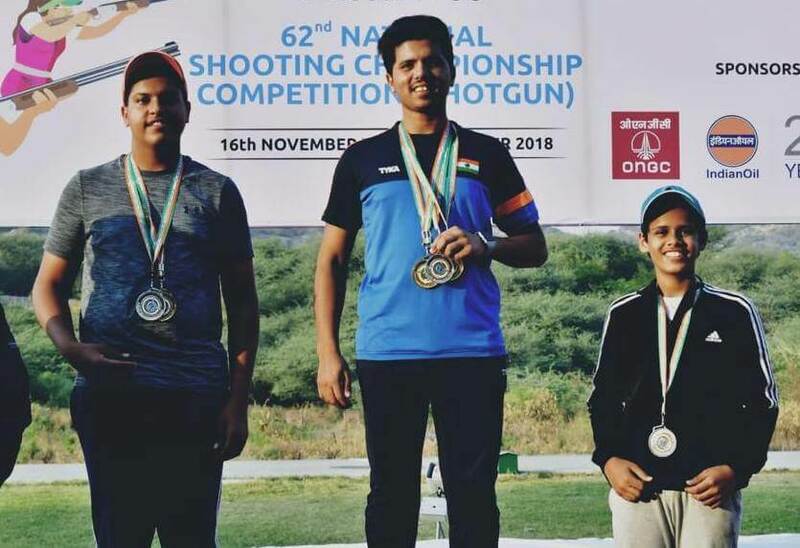 Mohd Asab and Ahvar Rizvi pipped the reigning world champion Ankur Mittal of ONGC to make it a one-two for Uttar Pradesh in men’s double trap at the 62nd National Shotgun Championship in Jaipur. The 31-year-old Asab shot a score of 134 to beat Ahvar by one point, while Ankur shot 128, following poor scores of 23 and 24 in the second and fifth rounds, respectively. Former World No. 1 Ronjan Sodhi of Punjab shot 126 to finish 6th, while the reigning Asian Games silver medallist the 15-year-old Shardul Vihan shot 120 for the 9th place. From left: Shardul Vihan, Ahvar Rizvi & Vinay Pratap Singh. 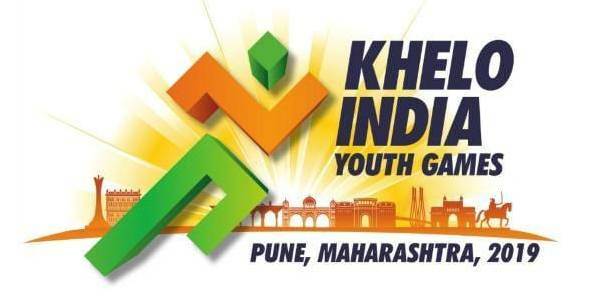 Ahvar won the junior gold, beating Shardul by 13 points while Vinay Pratap Singh of Rajasthan won the bronze with 118. In the women’s event, Prabsukhman Kaur of Punjab won the gold with 84, silver was won by Shalini Yashwant of Madhya Pradesh with 75 while Anam Basit of Madhya Pradesh shot 73 to win the bronze. Pravjot Kaur Panesar of Punjab won the junior gold with 66, silver was won by Anushka Singh Bhati of Rajasthan with 64 while Hitasha of Punjab registered 60 hits to take the bronze. 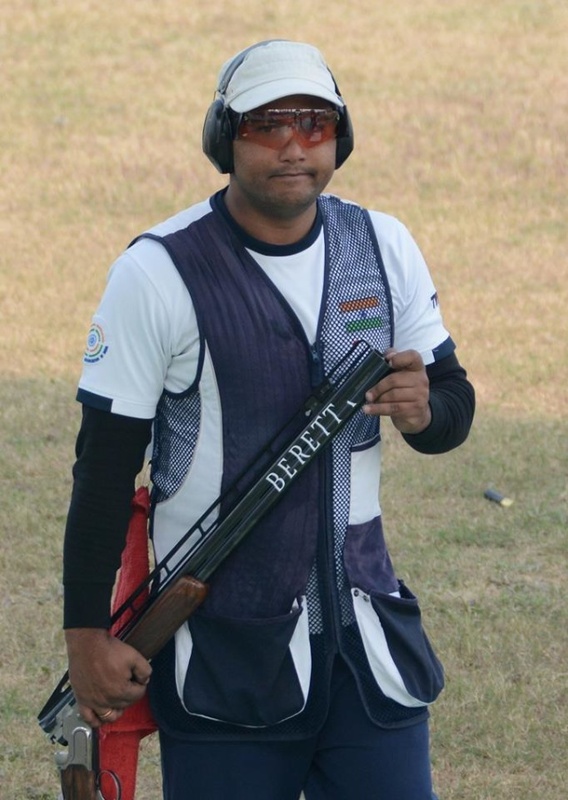 Yadavendra Singh shot 91 to win the gold in the veterans category. The silver was won by D.V. Seetharama Rao while Mohd. Yaqoob took the bronze with 78. Men’s Double Trap: 1. Mohd. Asab (Uttar Pradesh) 134; 2. Ahvar Rizvi (Uttar Pradesh) 133; 3. Ankur Mittal (ONGC) 129. Team: 1. Uttar Pradesh (387); 2. Punjab (356); 3. Haryana (336). Junior Men’s Double Trap: 1. Ahvar Rizvi (Uttar Pradesh) 133; 2. Shardul Vihan (Uttar Pradesh) 120; 3. 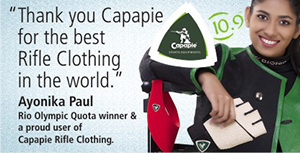 Vinay Pratap Singh (Rajasthan) 118. Team: 1. Uttar Pradesh (347); 2. Rajasthan (333); 3. Punjab (327). Women’s Double Trap : 1. Prabsukhman Kaur (Punjab) 84; 2. Shalini Yashwant (Madhya Pradesh) 75; 3. Anam Basit (Madhya Pradesh) 73. Team: 1. Punjab (210); 2. Madhya Pradesh (203); 3. Rajasthan (177). Junior Women’s Double Trap: 1. Pravjot Kaur Panesar (Punjab) 66; 2. Anushka Singh Bhati (Rajasthan) 64; 3. Hitasha (Punjab) 60. Veterans Double Trap: 1. Yadavendra Singh (Haryana) 91; 2. D.V. Seetharama Rao (Tamil Nadu) 88; 3. Mohd. Yaqoob (Uttarakhand) 78.